I can't believe you're already turning ten years old. It seems like only yesterday I was holding you in my arms. Ten is a very special age in our family. Why? It's a secret. You'll have to wait and find out! I have a few things I need you to do for me before you get your presents. Do you promise you'll do them, no matter what I say? Yes, Mama is my first game! 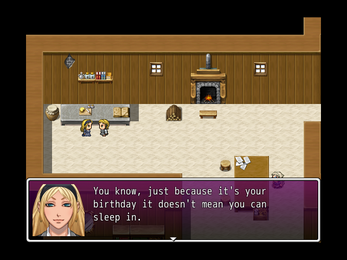 It's a short horror story made in RPG Maker VX Ace over the course of about four days. It takes 5+ minutes to finish and there are two endings. I made this game mostly to learn how everything works, so the graphics and most of the sounds are the ones provided with RPG Maker. I tried my best to work out any weird bugs I could find, but let me know if there are any I missed. Appologies to non-Windows users! I didn't realize until I was already well into creating the game that I couldn't export it for other operating systems. Note: I do not expect anyone to pay for a game this short! But if you're interested in donating a dollar when you download it, I would love and appreciate you forever. That was a great short story! 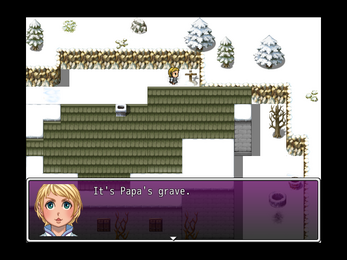 I looove rpg horror games. I picked the safe ending first, so the other ending was a little bit of a shock. Pretty awesome job! Can't wait to see what else you come up with. Especially for a longer game. THAT DOG IS A PRIZED POSSETION! I WILL NOT KILL THE DOG. IT IS ENOUGH FOR ME! I WILL NOT KILL AN AMIMAL! I DON'T NEED ANY PRESENTS! One of the best horror games I ever played. Please make more!!!!!!!!!!!!!!!!!!!! If this is your first game, your next is also going to blow our minds. Oh my gosh I'm so flattered!!! Thank you so much! I hope my next project lives up to expectations! I just know it will! I loved the game just wish it was a little longer but other than that excellent work. You're welcome. Awesome can't wait to playing it. Thank you so much!! I'm already working on a couple more projects, so hopefully I'll have something new up sometime in the near future! That was fun! I love a good rpg maker game. For a first time that was really good. I like the whole atmoshpere. Thank you! I'm happy to hear you liked it! 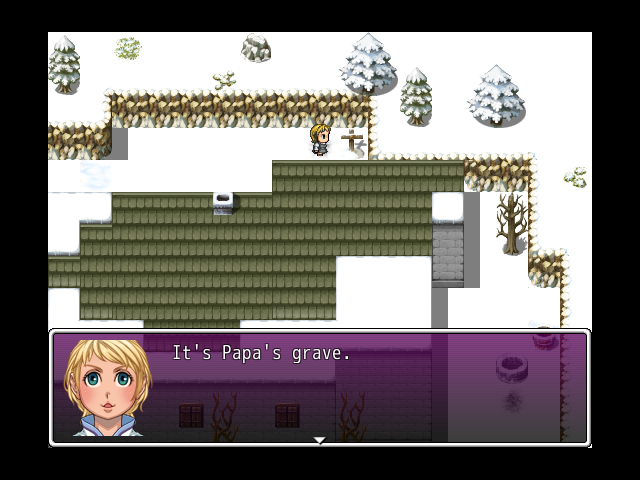 I'm a pretty big sucker for RPG Maker horror, so I had to take a glance at this one from the title alone. For a first "just trying to learn the program" game, you actually did really well. Sure, it's visibly a first try, but you actually do create an unsettling atmosphere through the sheer escalating oddity of the situation and little things Mama's responses to disobedience. So good on ya - try to aim for something bigger next time! Thank you so much for your encouragement!! I'm definitely already working on a bigger project (hopefully I'll actually finish it)! I enjoyed playing this game. The dual endings were fun to get but I regret Ollie. Here's a video for it. Yeah no problem, it was a fun little game to play. 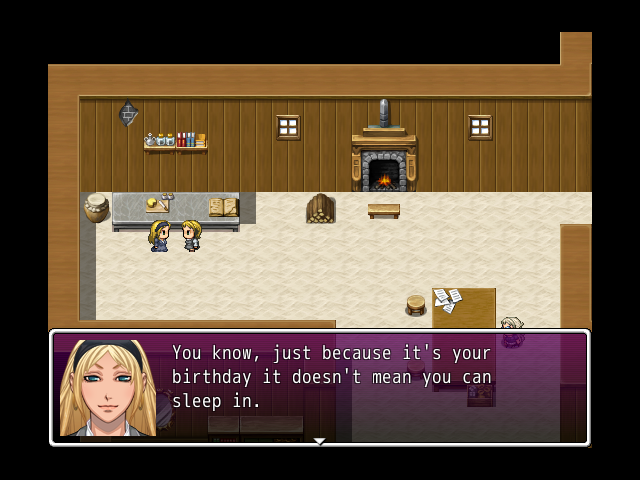 Hope you make more and continue your progress in learning how to use the RPG maker programs. Oh no! Thanks so much for letting me know so I could fix it! 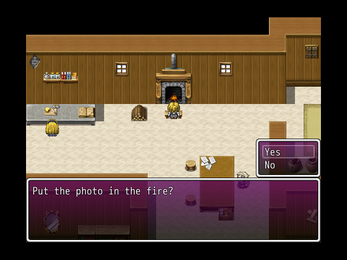 Would you be interested in bringing this over to RPG Maker MV? I've thought about it! But I decided since this is only a short little experiment, it's not really worth the effort. So would you like me to give it a try?